You are probably aware that you cannot track gorillas without Gorilla permits. These Gorilla permits so often sell-out so you need reserve yours at least four (4) months in advance to be sure for your Gorilla trekking safari. We recommend you remit payment for your Gorilla permit as soon as possible because it gives us ample time to secure your permit and make excellent travel arrangements for you. 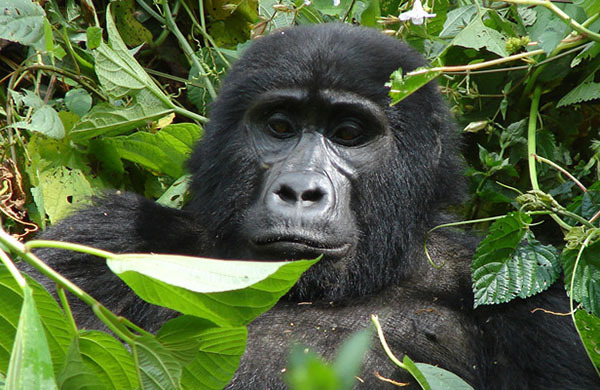 Encountering Uganda mountain gorillas is guaranteed once you obtain a Gorilla permit. Unlike earlier days when it was so exhausting to find Gorillas, nowadays it is easy to see and have a magnificent wildlife encounter with the Gorillas because Gorilla families have been habituated and are very human friendly, also an expert team is sent to identify the location of the Gorillas prior to your trek making it fairly easy to see the Gorillas. A Uganda gorilla permit includes a gorilla guide who will trek with you until you find these exceptional mountain gorillas, it also includes park entry fees for Bwindi Impenetrable national park and Mghinga National park as well spending one hour of photography and interaction with these adorable Uganda mountain gorillas. In Uganda, Gorilla permits are officially sold by the Uganda Wildlife Authority (UWA) and a gorilla permit in Uganda costs USD600 per day per person for foreign nonresidents, Foreign residents with a valid working permit pay $500.00 and East African citizens of Uganda, Rwanda, Kenya, Rwanda, Burundi and Tanzania pay Uganda Shillings 250,000 only (which is about $80). You can acquire the permits in Kampala at the Uganda Wildlife Authority offices. Uganda Gorilla Tours Ltd processes your Gorilla permit at no extra cost and have not experienced any trouble regarding booking of Gorilla permits in Uganda. Rest assured to get a genuine Gorilla permit with our team. It’s worth mentioning that only individuals aged 15 years and above are allowed to track gorillas in Uganda and Rwanda. If you would like to do Gorilla tracking safari in Rwanda instead of Uganda, note that gorilla permit in Rwanda costs $750. While Gorilla permits in Uganda lower to $450 in the off season period for months of April, May and November. For more information you can contact us. Want to encounter these amazing species? Choose form our well-crafted Uganda safari packages or customize yours here.